Thank you to everyone who left a comment and entered the CHEFS swag bag giveaway! It seems that the most popular summer snacks were watermelon, fresh tomatoes from the garden (omg, I’m so jealous of you people! ), fresh seasonal berries, cherries, and ice cream. I’m all over the seasonal fruits and the homegrown tomatoes straight up! Several of you have either commented or emailed asking about the next workshop. At this point, things are wide open and I haven’t had a chance to mull over which direction to take the workshop. Of course, if there is another Food and Light workshop, you’ll hear about it on urb. Thanks for your interest! So let’s get to the winner of the giveaway… Believe it or not, Miss Kaweah’s metabolism is slowing down and the whole “pick a number/eat the treat” method has been phased out. 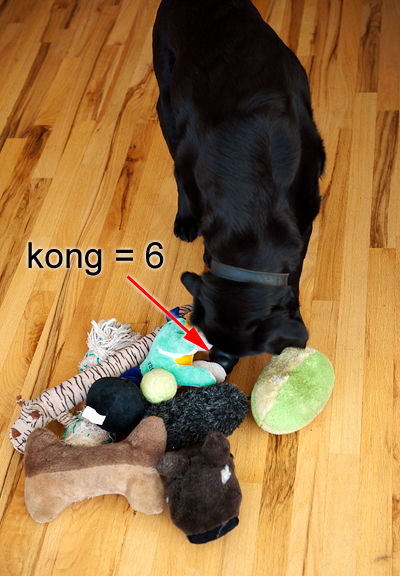 Instead, we have opted for the “pick a toy that corresponds to a number”. It is decidedly and supremely random. 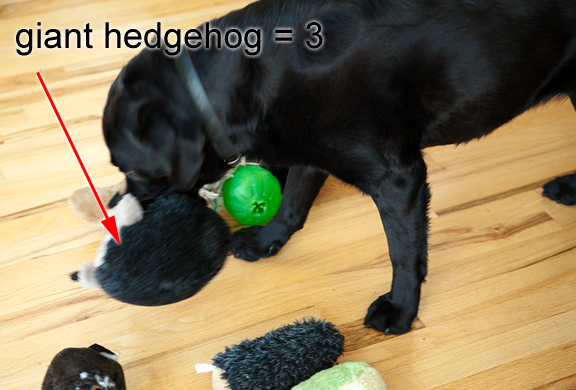 When Kaweah picked a digit, we would insert a new toy to replace that digit for the next round (we’ve had issues with her returning to the same toy, so this is more fair). The number is 633 mod 544 which gives us 89. SheilaM is our winner! Congratulations!! I’ll contact you shortly for your mailing address. Big thanks to CHEFS catalog for being such a wonderful and generous sponsor. Another thank you to all of you for entering! Our yard is dotted with all manner of colors: reds, purples, blues, whites, yellows, oranges, different yellow, a greenish yellow, more whites, pinks… That’s pretty impressive considering how we do NOTHING to maintain our yard (then again, I wouldn’t recommend playing lawn darts in our yard). The afternoon thunderstorm cycle is revved up and the wildflowers beckon. When it is February and our deck is under three feet of snow, this is what I think of when my thoughts turn to summer. I met with joyous success when I made Pim’s pad thai last year (oh wow, posted a year ago to the day). That was after years of crappy versions that just… sucked. It’s been a full year of pad thai bliss. 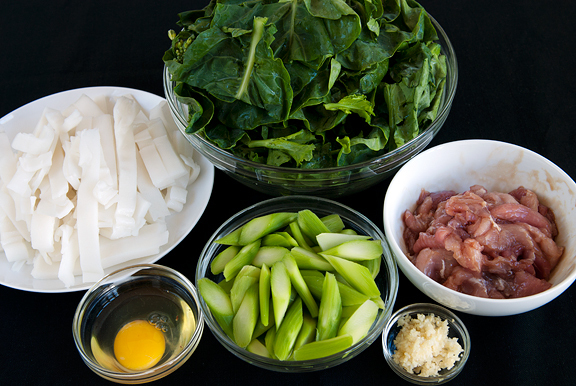 A few months ago, I had a reader ask me if I knew how to make pad see ew. What’s that? I am the most pathetic kind of Thai food junkie. I love it and I have no idea what it is called. Some searching on the interwebs led me to a handful of trusted food bloggers and ultimately to Pim. Turns out I’ve had it before, loved it, and never quite caught the name. A one-night stand… but no more! We’ve been reunited. I was worried that I would have to drive to BFE far away places to secure some fresh wide rice noodles, but my local Asian market had some. SCORE. Actually, most all of the ingredients in this dish are relatively easy to find. I love my vegetables. I love my greens. What I really love are my Asian greens. 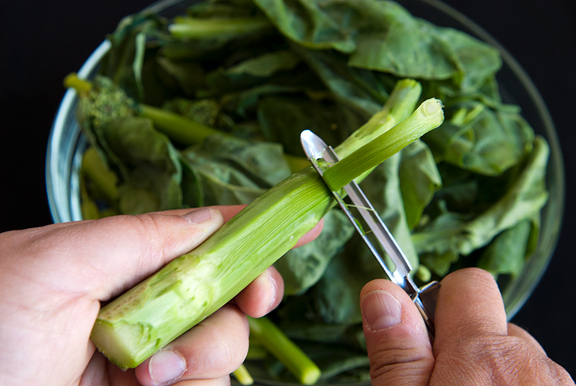 Chinese broccoli is one of my favorites AND it is getting easier to find around here. Like Pim, I like to use the stalks. Some people throw them out which I think is a crying shame because the leaves and the stems are almost like two separate vegetables in your stir-fry. Eat them up, they’re good for you. Those noodles were a little tricky to handle. The ones I bought were refrigerated and a tad brittle. Oh, and they stuck together like crazy. 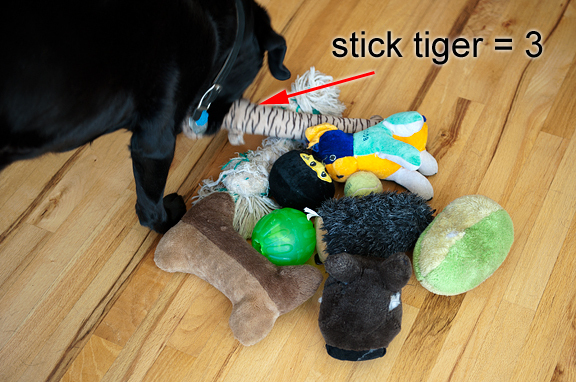 Prying them apart resulted in a lot of broken noodles – nothing longer than 3-inches. But they cooked up perfectly into a soft and chewy texture, soaking up the colors and flavors of the added sauces. The key to this dish is to have everything ready and on-hand. 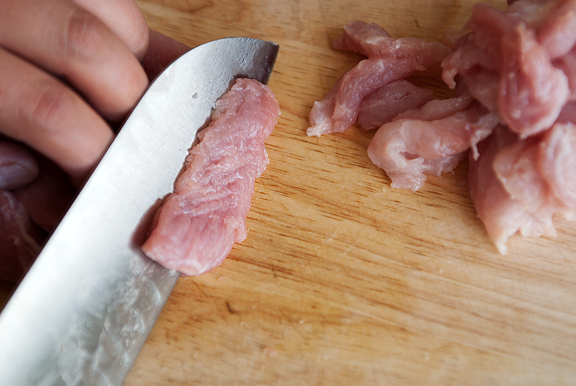 Each component gets cooked quickly and then removed until the end when it is all tossed together. The total cooking time was maybe 5 minutes, which is a good thing because the aromas rising from the pan will taunt you. We loved these noodles. I found this recipe easier than the pad thai by a smidge, but they both live in the “favorites” section of my brain. Mix together in a bowl and let sit for 30 minutes. * Pim says if you use dry noodles, that you should soak them in lukewarm water until they are pliable, but not soft. Drain them well before cooking to avoid oil splatter. It’s a good idea to get your mise en place (mess in place) because the cooking part happens rather quickly. 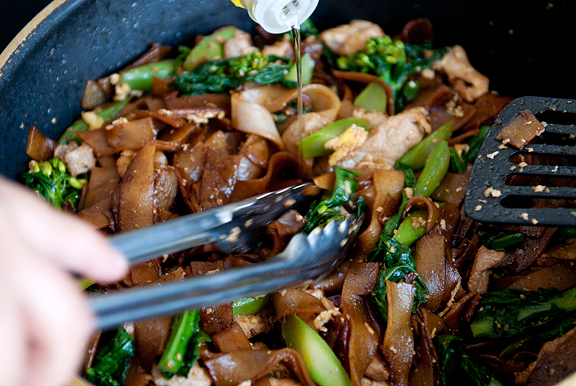 Heat a tablespoon of oil in your wok or pan over high heat. 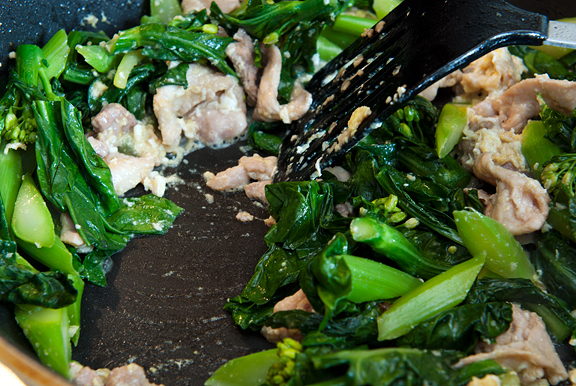 When the oil is hot, add the Chinese broccoli stems and sauté for about a minute. Then add the leaves and a splash of fish sauce, sautéing until the leaves are wilted (this won’t take long). 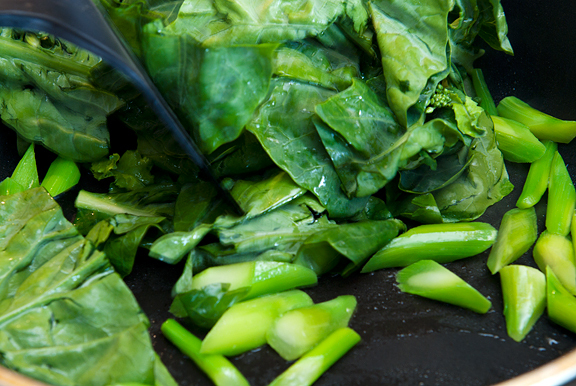 Remove the greens from the pan and set aside. 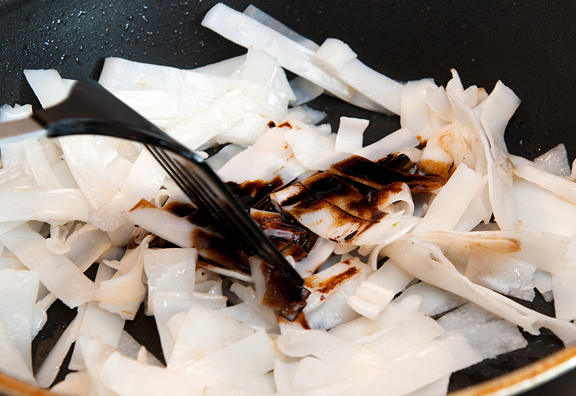 Add another tablespoon (or more) of oil to the pan and toss in the noodles, coating them with the oil. 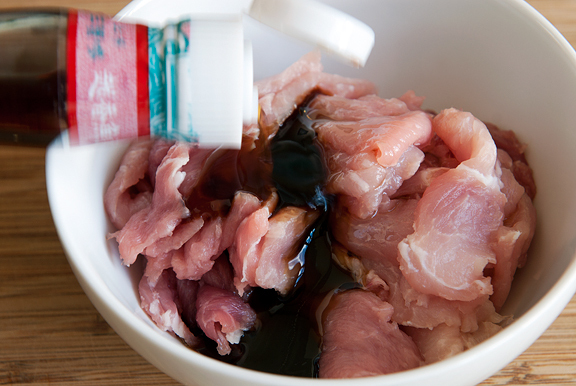 Add thick soy sauce, a few splashes of fish sauce (like a tablespoon total?) and stir the noodles about until they are evenly cooked. You can even go for the charred bits by letting some of the noodles sit on the pan for a little longer. If the noodles start to stick, Pim says you can add more oil. Remove the noodles from the pan and set aside. Scrape off any remnants from the pan, add another tablespoon of oil and set over high heat. When the oil is hot, add the garlic and stir for a second, then add the pork. Stir-fry until the pork is almost cooked through. 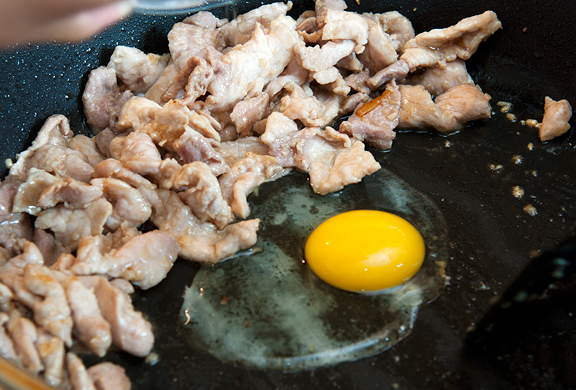 Push the pork to the side of the pan and add an egg to the middle. Let it cook for a few seconds then stir it together with the pork. 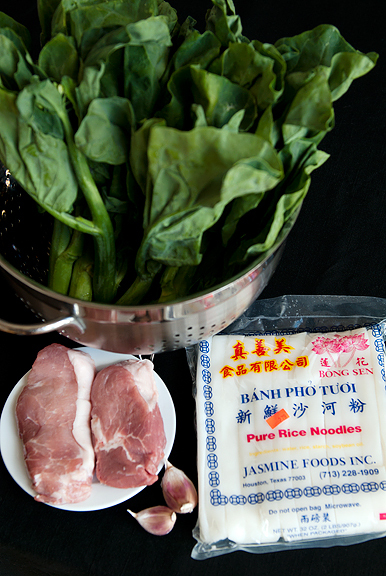 Add the Chinese broccoli and the noodles. Stir together. Remove from heat. Add more soy sauce and/or fish sauce to taste (you may not need any) and then toss the noodles with a tablespoon of rice wine vinegar and a few grinds of black pepper. Serves 2. My mom makes a Chinese dish vaguely like this with fresh wide rice noodles, and she always microwaves beforehand to soften them so that they don’t break when you separate them. Looks delicious, though! This looks really tasty. If you’re in a pathetically small town and can’t find thick soy sauce, could you use regular plus a thickener, or reduce regular over heat? Or something? Denver has several good Asian food stores. I’m going to hunt down the ingredients and give this a try. Looks delicious! If you leave the refrigerated noodles out at room temp before using, they should be less brittle. At least that’s what my mom does. I, unfortunately, live in a part of the country that does not have access to even the refrigerated stuff (maybe if I drive 1+ hours?) – don’t be fooled by what’s in the “refrigerated” section of the local asian mart, as those have been frozen en route. Thanks for the link to chez pim’s! And for this recipe! My bf has yet to really try Thai food (the horror!) and I might make a celebratory meal of this one. I love it when Kaweah picks the winner! 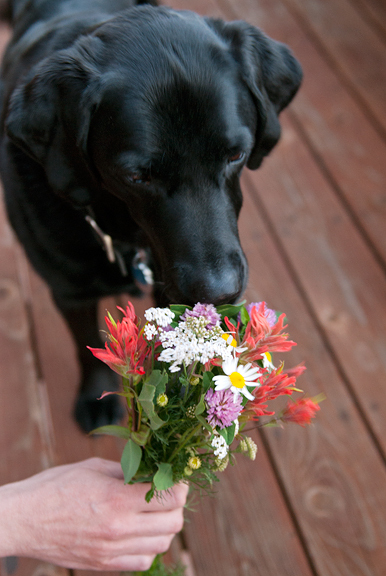 Love the photo with the flowers. I have to admit that I chuckled with the use of modulus (%). And thanks again for bringing up the Pad Thai recipe…it’s been a couple months since I made that last, now I’ll remember to make it soon again! This is one of my favorite Thai dishes…and I’ve been missing Thailand like crazy lately so it seems like a perfect time to make it! Love those pictures of Kaweah, adorable as always! Oh kaweah is so so super adorable. Wish I could cuddle him right now!!!!! Love the dish. You know it. If you’re taking requests, or up to delicious challenges, I vote for you to explore and then share the secret of the soup dumpling! I realize that’s more of a cold weather fare, but I think if I had the chance to eat good soup dumplings for the rest of my life during hot summers, I’d take it. Delicious! I wish I had a bowl of that right now. i second the microwaving of the noodles beforehand. my mom also does that. just watch out for hot noodles! I love the way you picked the winner too! 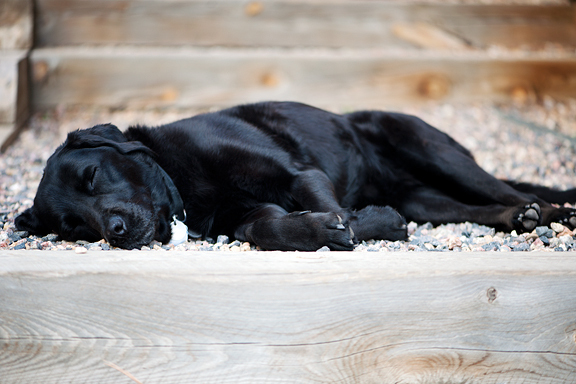 Your dog is so cute. Do you think you could sub the pork for beef in this recipe? Thanks. I love your translation of mise en place as “mess in place”- very accurate in my kitchen, anyway! OMG! 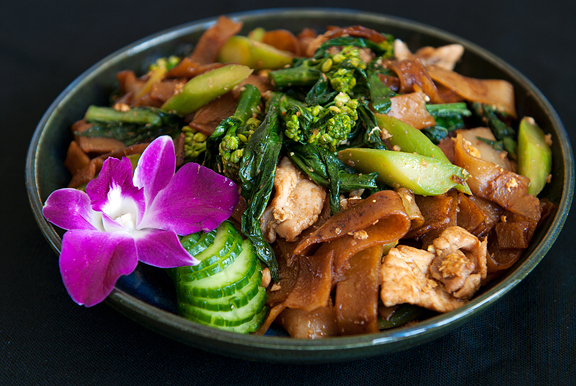 I order Pad See Ew at EVERY Thai restaurant I go to, and I could never quite figure out the sauce on my own. So excited! But, I can never find the wide, flat rice noodles, just the skinny ones, even though I live in LA, land of Asian groceries. Any ideas where to find them online? Wow, great post! I just saw the photo on P.G., and clicked as this is one of my favorites when I eat at Thai restaurants. Really lovely progression photos/instructions-now I’m not so afraid to try it at home. Thanks! This is by far my favorite thai dish. LOVE LOVE LOVE! I attempted to make it at home per Chez Pim’s direction and it did not turn out as beautifully as yours. I wish I could find chinese broccoli more easily. Thanks for sharing! Recipe for Delicious – yes, I believe I read somewhere that you can simmer regular soy sauce down – but I don’t know the exact techniques. Definitely google for it (thick soy sauce substitute or something like that). Melissa – it doesn’t get old, hon. I’m gonna have to try your awesome recipe next. I never even knew! Julie D – I’m sure you could sub whatever you want in for the pork! Try it, I’ll bet it’s great. Janet – probably best to check the refrigerated section of your Asian markets (like Ranch 99). Or ask someone for fresh wide rice noodles. My platonic ideal for this dish is from Su-Mei Yu’s Saffron in San Diego, but I’ve never made it at home. I may just have to now. Thanks for sharing. BTW, Saffron throws some fried shallots on top to gild the lily. It really helps make the dish. I’d usually get it with chicken (they use chicken that’s been roasting for too long to sell as roasted chicken at their sister store next door, but that makes it good and rich. One dish stir-fries like this are just fantastic for busy nights!!!! We have quite a different name for this dish I believe! Jen – you rock. My two favourite receipes from Chez Pim! I didn’t know making pad see ew was this simple! I’ve been ordering takeout and I’ve spent $12 on a small plate of it each time! Now I can finally make it at home – it’ll be cheaper and healthier. Thanks for sharing! You just saved me thousands of dollars. Denise – why don’t you try it without fish sauce first. See if you like it. If it’s lacking in “flavor” (mostly saltiness and a sort of umami) then you can add a splash (like 1/4 tsp at a time) and then mix it up and taste. That’s the best advice I can offer. 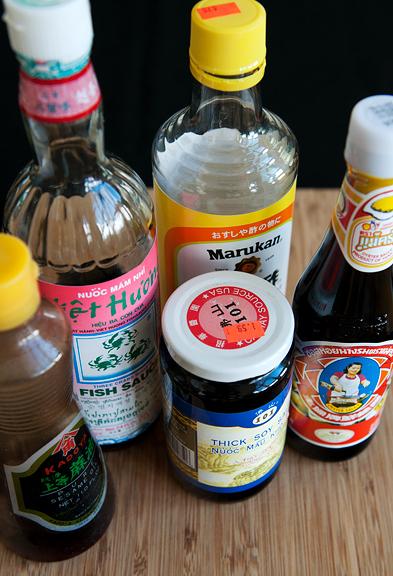 I don’t think I actually add any in the last step – I just use the fish sauce in the marinade.